Kidnapping, sexual predators, bullying, suicide. As parents, we must face the reality that our children are growing up in a society much different than when we were kids. The current era of technological renaissance has brought about threats to our children we never could have imagined a few years ago, but it has also led to the emergence of tools – like the parental control app – to keep them safe. 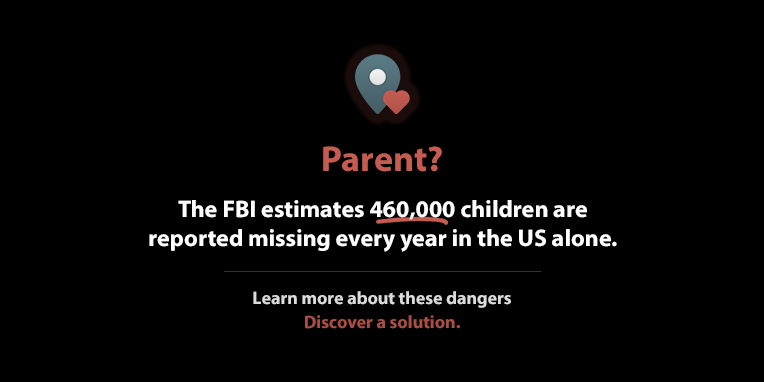 The FBI estimates 460,000 children are reported missing every year in the US alone. A parent’s greatest fear is losing a child, which is why it is always more important than ever to be able to know their whereabouts at all times. With a parental control app, you have access to important features like GPS and device location tracking. Should the unthinkable happen and your child doesn’t come home, a parental control app gives you an extra layer of security knowing you can document their phone, tablet or computer and immediately report the information to the authorities. Receive alerts if your daughter leaves pre-set geo-boundaries or view the location history of your son’s phone to make sure he comes home after practice. The Journal of the American Medical Association found 1 in 5 adolescents received unwanted sexual solicitation online. As parents, it is difficult to think that another adult would want to harm our children. Unfortunately, this is something that happens all too often, especially with kids spending more and more time online. A parental control app gives you the ability to check in on your children and ensure they are not unknowingly putting themselves in harm’s way. Limit risky interactions online by monitoring web history to ensure the sites your child visits are age-appropriate or be sure your son and daughter are not using their phones or computers late at night by checking the last time a device was online. If your teen seems to be spending a lot of time on phone calls behind closed doors, utilize the call recording feature – a feature only available with the FlexiSPY parental control app – to monitor phone conversations. Take action if the person your child is speaking to sounds too old or is behaving inappropriately. The National Association for School Psychologists found that 3.2 million students are bullied annually. Children and teens are unlikely to tell you if they are being bullied. It is important to look for signs they are victims, such as changes in how they use technology, being secretive or withdrawing from social activities. A parental control app like FlexiSPY makes it possible to monitor SMS and MMS conversations, as well as popular chat applications like iMessage, Facebook Messenger, Instagram direct messages, WeChat, LINE, Skype, BBM and more. Access all media files, see stickers and read incoming, outgoing and deleted messages, so you can step in before it’s too late. Yale University studies show victims of bullying are between 2 and 9 times more likely to consider suicide. Have you ever felt like something is wrong, but no matter how hard you try to reach out your children always respond with, ‘I’m fine.’ Too often we accept this answer and don’t delve deeper for fear of pushing them away. Let your parental control app find out the information your children are too afraid to share. Use the hidden software feature to monitor your child’s phone – not because you want to spy, but because you are deeply concerned for their emotional and physical safety. By hiding a parental control app, you can see the whole picture – check what apps they are using, read what they are typing with a keylogger, and see who they are talking to – so you can prevent the unimaginable from happening. The pressures and stresses of the 21st century are beyond anything we ever went through, which is why it is so important for parents to have insight into their children’s life behind the screen. The parental control app from FlexiSPY has more than 150 features that make it possible to know the ins and outs of your child’s digital world on their computer, tablet or mobile device. After all, it is our duty as parents to protect our children from danger even when we’re not around.